David Doran, the son of a paper-mill worker, was born in Albany, New York, in 1909. His father had emigrated from Russia in 1907 where he found work as a cigar maker. As a boy Doran sold the Albany Times and delivered groceries. Doran left school at the age of sixteen and found work as a seaman on a tanker owned by Morgan Line. While at sea he read a lot including the works of Upton Sinclair, John Galsworthy and Joseph Conrad. In 1929 he developed scurvy and when he recovered he found work with his uncle who was a sign painter in New York City. He began to mix with members of the Industrial Workers of the World but in 1930 he joined the Young Communist League. He agreed to go to the Deep South to build up membership of the YCL among the unemployed. He arrived at Chattanooga on a budget of three dollars a week. In Scottsboro, Alabama, he was beaten up after he became involved in the campaign to free the Scotsboro Boys. In 1931 he joined the American Communist Party and worked as a trade union organizer with agricultural workers (Alabama), textile workers (North Carolina) and coal miners (Pennsylvania). By 1936 he was the party's director of trade union activities. 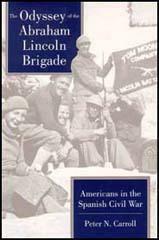 On the outbreak of the Spanish Civil War Doran wanted to immediately join the Abraham Lincoln Battalion, a unit that volunteered to fight for the Popular Front government against the military uprising in Spain. The party rejected the idea claiming he was more important to the cause in America. After the disaster of Jarama the leaders of the American Communist Party changed its mind about the role of its activists and allowed Doran, Steve Nelson, Joe Dallet and 22 other volunteers to go to Spain. While at the Tarazona training camp Doran wrote to his wife: "Trying hard to be a good soldier and fill some Fascist bellies with lead. Feel certain that I can more than hold my own when we meet the bastards out there. The tough training has really hardened and toughened me. Just what a guy needs after being a functionary of the League a number of years." Doran first saw action at Quinto under Steve Nelson. Doran wrote to his wife after the battle: "The thing I like best is that I have gone into action against the enemy and have had ample opportunity to work under rather sharp and direct fire. Always did want to test myself and am not entirely disappointed with myself." Cecil D. Eby added: "Going into battle at Quinto as one of Nelson's juniors, Doran found that the firing line was not the picket line. In battle, something more was required than collecting scrawls on a petition or nailing a placard to a pole. It is significant that his golden moment during the battle came when he hijacked the water truck and drove it into the American lines-exactly what a dead-end kid could be expected to do." 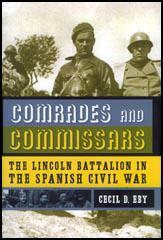 After Steve Nelson was wounded at Belchite he was appointed brigade commissar of the Abraham Lincoln Battalion and political advisor to Vladimir Copic. 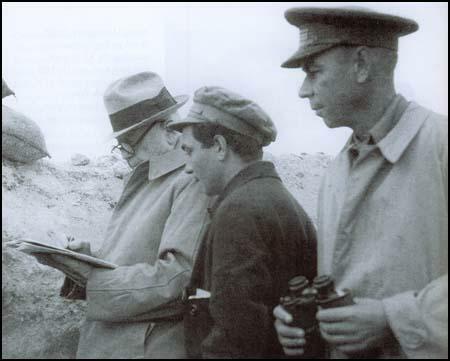 He also worked closely with Robert Minor, the local American representative to the Comintern in Spain. As Cecil D. Eby, the author of Comrades and Commissars: The Lincoln Battalion in the Spanish Civil War (2007), pointed out: "He was only twenty-six. What no one knew at this time-and how they would have shuddered had they known was that Doran's ambition was to assume military command of the brigade. That moment would arrive in time, but in September 1937 it was still in the future. For the moment he had to be content with nearly absolute political power. Men had followed Nelson because they believed in him; they would obey Doran because, they feared him." Sandor Voros observed Doran telling a group that he had the power to execute troublemakers: "The visiting delegates received this information with rapture, that was really something to take back home, to impress their friends with the importance of an American commissar they had encountered in person in Spain. It did not occur to any of them to inquire what could possibly have distorted the mind of a man that young to think of his position in those terms; to entertain the idea that it was within his power to order anyone in his sight, civilians and military personnel alike, placed before a firing squad and executed at his whim." In the summer of 1937 Joe Dallet was appointed as the political commissar of the Mackenzie-Papineau Battalion. According to Cecil D. Eby Dallet was unpopular with the other soldiers: "No one detected the change in Joe Dallet more quickly than the men in the Mac-Paps. They were mystified by his mercurial behavior bullyragging and threatening one moment and fawning and apologizing the next. His tantrums may have derived from his upbringing as a spoiled child, alien to most of the men." Doran reported back to party officials in Albacete that "a percentage of the men openly declare that dissatisfaction with Joe Dallet and there is some talk of removal." He added: "At some future time it might be necessary to move Dallet to a less important position." The following month the International Brigades launched an attack at Fuentes de Ebro. Robert G. Thompson selected Joe Dallet to lead the men into battle. Cecil D. Eby has speculated: "Was it true, what some men have said, that he walked like a man dazed, drugged, or dead? Did he perhaps wonder whether the bullet that would kill him would come from the front or the back? In his book, American Commissar (1961) Sandor Voros claims that Dallet was hit in the groin and was trying to craw back unaided when he was killed by machine-gun fire. In March 1938 Doran was sent to the Aragón front. Later that month David Doran was reported missing with Robert Merriman while fighting at Gandesa. The following year Edwin Rolfe wrote in The Lincoln Battalion that they were killed by crossfire while on the road to Corbera on 2nd April, 1938. After Nelson's wound at Belchite and Doran's stunt with the loudspeaker at the parish church (his speech was later called "the heavy artillery of the science of politics"), Doran assumed the post of XVth Brigade commissar. He had done well indeed. Within four months of his arrival in Spain, he had become the highest-ranking American in the International Brigades, for as political adviser to Copic he held a rank equivalent to lieutenant colonel. He was only twenty-six. What no one knew at this time-and how they would have shuddered had they known was that Doran's ambition was to assume military command of the brigade. That moment would arrive in time, but in September 1937 it was still in the future. For the moment he had to be content with nearly absolute political power. Men had followed Nelson because they believed in him; they would obey Doran because , they feared him. Most of the draconian measures, the persecutions, and the executions carried out in the XVth Brigade, belong to the Doran period. I had known Dave Doran well in the States. He was a brilliant and audacious young man in both politics and battle. 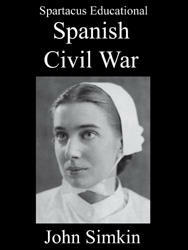 At Belchite, the brigade had surrounded a fascist unit but its destruction : would have been a long and costly process. Doran got his hands on a loudspeaker and had a young fascist, just captured, broadcast an appeal to surrender-which the enemy unit did. Another exploit of Doran's came during the visit to Spain by Major Clement Attlee, the leader of the British Labor Party. Since that party had not yet made up its mind about Prime Minister Neville Chamberlain's non-intervention policy, Doran thought it would help matters if Attlee visited the British Battalion. This the Labor Party leader had no intention of doing but this did not faze Doran who proceeded to set things into motion. 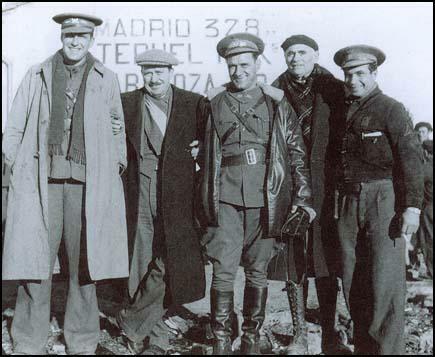 Attlee, too busy to come to the Brigade, was touring all sorts of installations in Madrid. One day as he emerged from a government building, he found a delegation waiting for him. He was quickly escorted to an automobile, and before Attlee knew what was happening and believing this was still part of the official tour, he was brought before the British Battalion already waiting for him and lined up in full dress parade. The band played "God Save the King," the British commander saluted Attlee in the snappiest manner, presented him with the battalion colors of Spanish and British flags and ceremoniously announced that the machine company, best in the battalion, would henceforth be the Attlee Company. What could poor Attlee do but respond in kind? Overwhelmed, he accepted the honor and promised to do all in his power to aid the cause of democratic Spain. And indeed, after Attlee went back to London, the Labor Party did launch a campaign against the appeasement policy of Chamberlain. Of such small and unheralded incidents important his¬tory is sometimes made. Never was there a more benevolent kidnapping with such good consequences as the one master-minded by Dave Doran. The Attlee Company never cast any discredit on its illustrious namesake, later to be Britain's Prime Minister. On many occasions he was to talk with pride of the company that bore his name. His answer was revealing, far more revealing than I was in a position to judge then. Although he had been in his post less than three months he had become fully impregnated with that exalted feeling of self-importance which, as I had occasion to learn later, characterized most of those comrades in Spain who had suddenly found themselves elevated from obscure party posts into positions of great authority. Trained in the dictatorial practices prevailing in all Communist Parties these comrades became drunk with power and gloried in the knowledge that here in Spain at last they were in a position to enforce their dictates by jail sentences and even the firing squad. "Well, I can have anyone seated at this table shot!" The visiting delegates received this information with rapture, that was really something to take back home, to impress their friends with the importance of an American commissar they had encountered in person in Spain. It did not occur to any of them to inquire what could possibly have distorted the mind of a man that young to think of his position in those terms; to entertain the idea that it was within his power to order anyone in his sight, civilians and military personnel alike, placed before a firing squad and executed at his whim. The terrifying fact was that although Doran had no such authority, he had the actual power to do so and he could easily have excused such an action by charging his victims with, let's say, "counter-revolutionary Trotskyism," and even earned a further promotion thereby.